Sarah Palin may have launched a book tour promoting Good Tidings and Great Joy this Christmas season, but more importantly, she is promoting what she calls, “the greatest joy” – children with special needs. 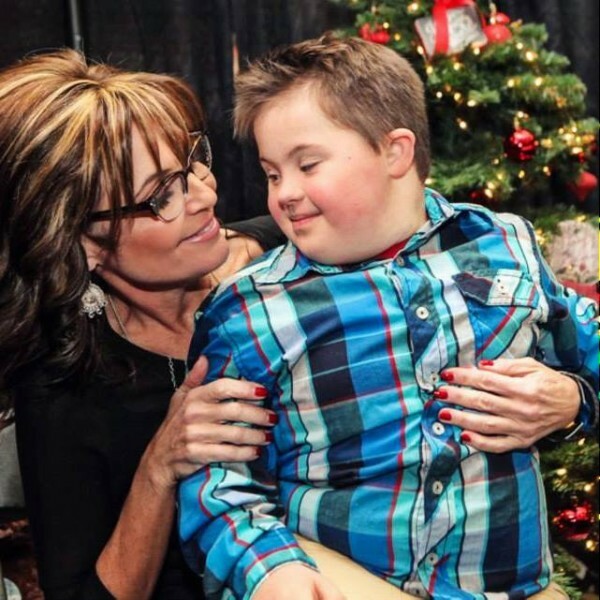 As she meets with ordinary Americans all across the heartland, Palin makes a point to connect with families who have children with special needs. It has been five years since Palin promised those families on national television, “I pledge to you that…you have a friend, an advocate, in the White House.” Well, she may not be in the White House, but she has certainly reached out to families all across the country and continues to keep in touch – a rarity these days. And after all that Palin has been through, as a hockey mom in Wasilla pursuing the first female Vice-Presidency of the United States of America, enduring relentless attacks from the left, right, and center, her answer may surprise you. “When we look at our son, we are inspired; we are motivated; we are more compassionate. We feel gifted and fortunate to have Trig in our lives. He is the most influential person in my family’s life today, and I thank God for our son, Trig,” Palin said, beaming with a proud smile. Sarah Palin sincerely empowers average, everyday Americans, and in the same way, she fights for those who cannot fight for themselves. She stands up for the underdogs – not only pre-born children, but children who have already been born with greater challenges than most will ever experience. In fact, over 90 percent of children diagnosed with Down syndrome are aborted before they are ever allowed to experience this world. Sarah Palin knows the true reason for the season. It’s Trig and the many other children who face similar challenges that truly capture what is so special about this time of year – celebrating the miraculous birth of a babe in a manger, who overcame the world’s greatest challenge and brought good tidings and the greatest of all joys.